Who does not like potatoes? At home, we love our potatoes and cannot do without them. 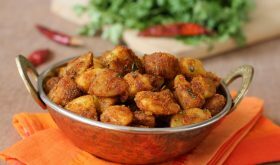 The other day, a blogger friend, Nandita of Saffron Trail, posted a fantastic Masala Aloo recipe. 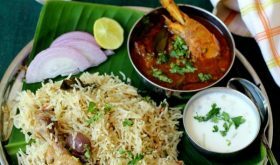 This quick simple recipe is from Sanjeev Kapoor’s cooking show, Khana Khazana. I tried it this morning for our mid day meal and am absolutely floored. Potato Roast couldn’t have got any better. Soul food at its best! 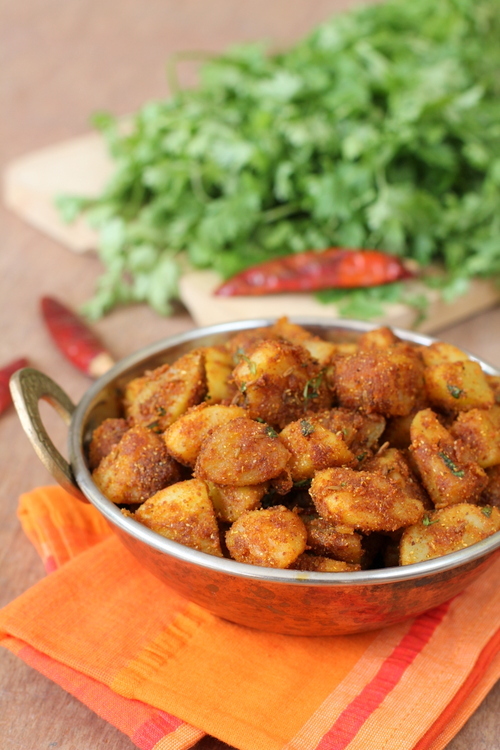 Boiled and peeled potato cubes are tossed and roasted in aromatic Indian spices till a crispy crust is formed and garnished with coriander leaves. The key ingredient is rice flour which lends a crisp crust to the potatoes. 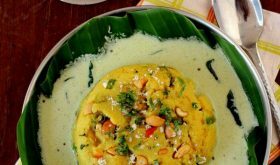 Do use rice flour or corn meal (if you do not have rice flour on hand). 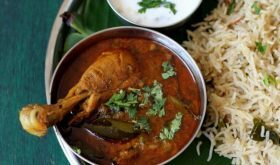 I served the Potato Roast with steamed rice and Pappu pulusu (tangy vegetable stew) and papad. Pressure cook potatoes. Pour two cups of water in the cooker. Place washed potatoes in another vessel and place in the cooker. Do not add water. Place the pressure cooker lid and cook on high flame up to 2 whistles. Cook on simmer for 8-10 mts. Turn off heat. Allow the pressure to reduce and open lid. Cool, peel and cube the potatoes. 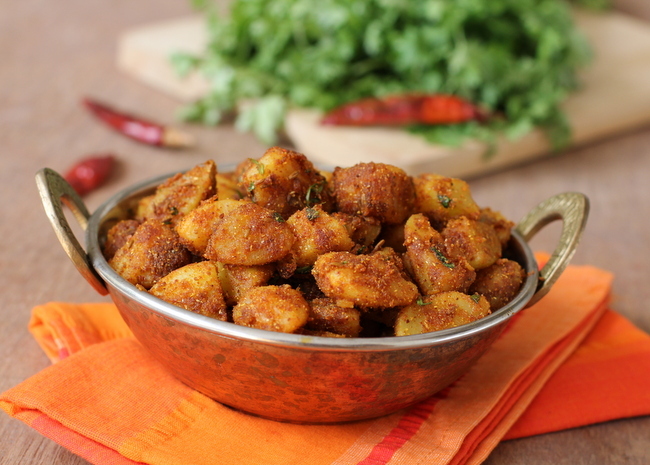 Place the cubed potatoes in a bowl, add the rice flour and toss to coat well. Keep aside. In a small bowl, add salt, turmeric powder, chili powder, coriander powder, cumin powder and saunf powder. Keep aside the spice powder mix..
Heat oil in a heavy bottomed vessel, add the cumin seeds and allow to splutter. Reduce flame to low, add asofoetida and the spice powder mix and stir so that they mix in the oil, just a few seconds. Do not burn the spice powders. Immediately, place the potato cubes that have been been tossed in rice flour. Stir to mix with the spice mix. Cook on a low flame until the potatoes form a crisp exterior, approx 8-10 mts. Stir once in a while. 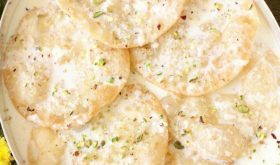 Fennel seed powder is optional. Few variations - use kasuri methi (dried fenugreek leaves) at the time of adding the asafoetida. Use about a tsp of kasuri methi. Pinch of garam masala can be added for a different flavor. A tsp of Kitchen King masala can be used. If you using Kitchen King masala, omit cumin and fennel seed powder and reduce coriander powder to 1 tsp. Add salt along with the spice mix and not towards the end of the cooking process. By Sailu Published: December 10, 2012 Potato Roast is a classic North Indian style stir fry recipe. 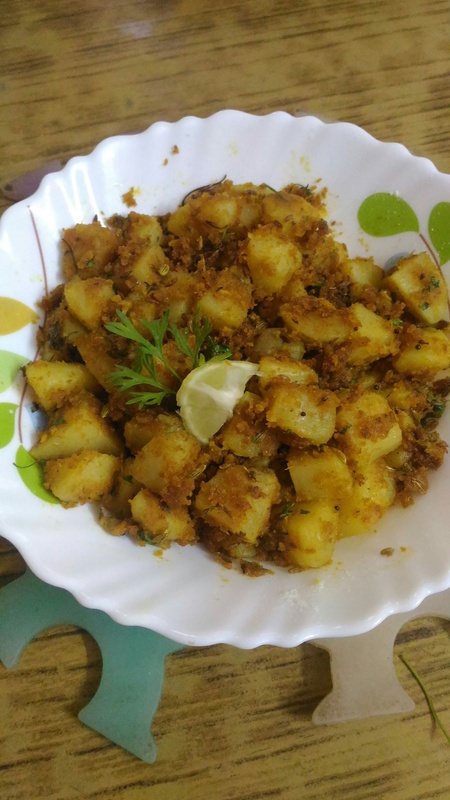 One of my favorites among the quick simple recipes using Aloo. cant wait for tomorrows lunch time!mouth watering receipe!! 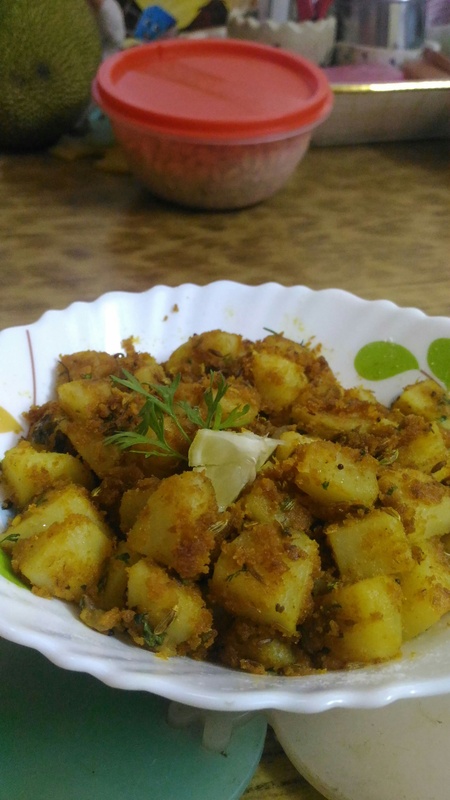 Looks super good… potato fry is an all time favorite!! I have a doubt, after getting 2 whistles u suggested to cook on low flame for abt 10 min but sailu after getting whistles even though we put on low flame we still do get whistles. So can u please clarify me if it is ok to cook on low flame even if we get whistles? Are we supposed to put whole potatoes or half cut potatoes in cooker? Yes, its fine to cook on low flame even though you get whistles. You can pressure cook whole potatoes. Try cooking once and with experience you will know how long to cook the potatoes. I just got to know about this site. Tried this recipe. It came out very well. Thank you. 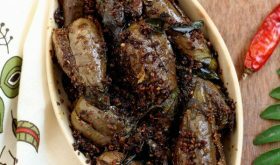 hi I just got to know about this site I tried this recipe its sooooo good it becomes one of my husbands favorite….. I tried it. I cant get the exact shape as yours. Please let me know how did you do it? The boiled potato has to hold shape and not be fully cooked if the stir fry should appear like in the picture above. Mushy potatoes or overcooked potatoes will not do. can we do this recipe with out boiling potatoes and cutting them in to small pieces?? Color might differ as the color of red chili powder differs according to the chilies used. Crispness can be achieved with roasting the potatoes for a long time without placing lid over the cooking vessel.